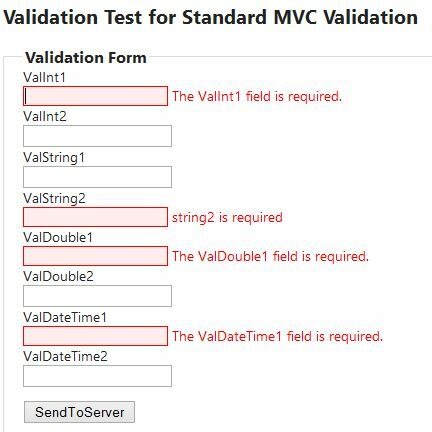 This is a simple example of standard MVC validation provided in the .NET framework. 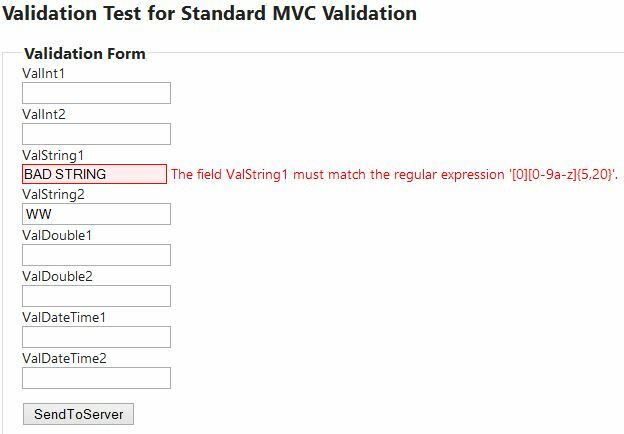 Because client validation is enabled, the model is validated on both the client and the server. The quickest way to create a custom validator is extend an existing one. This way client validation is supported without any extra effort. Anthony Zigenbine provides a great post for property dependency. I have also included this in the example code as it is a great solution for this problem. The model and the view are extended to include the requiredIf validator.